Satisfy your sweet cravings with dessert-inspired color schemes on sportswear. It sounds crazy but it makes sense especially since spring fashion 2013 is all about pastels and soft color blends. If you're hell bent on cutting out desserts (haven't we all tried this?) try wearing them instead. 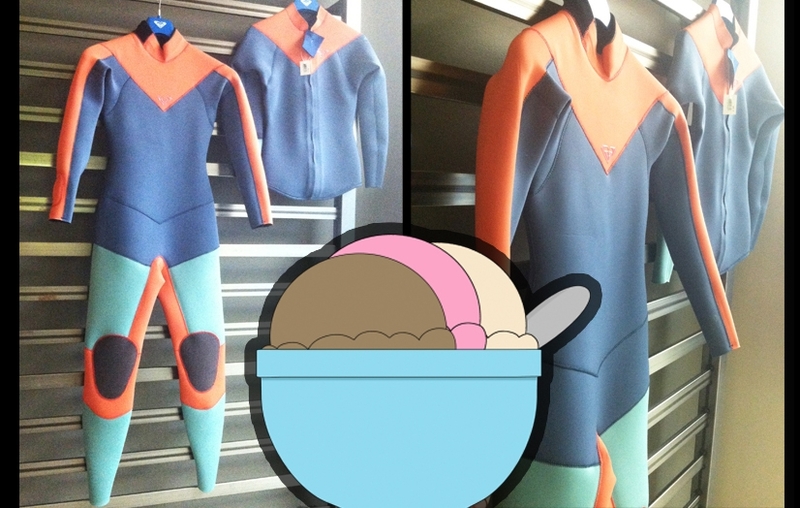 Roxy surf wear will be releasing the wetsuit you see above, which reminded me of Neapolitan ice cream--one of my favorite indulgences. I'm forecasting more flavor-colors in fitness fashion that will coast us into summer, like sliced watermelon with seeds, mint ice cream sandwiches, swirled orange sherbert and strawberry shortcake. What dessert would you most like to see in sportswear? Retweet this Fit Trend with your answer to win a fit prize (to @mizzfit_bianca).